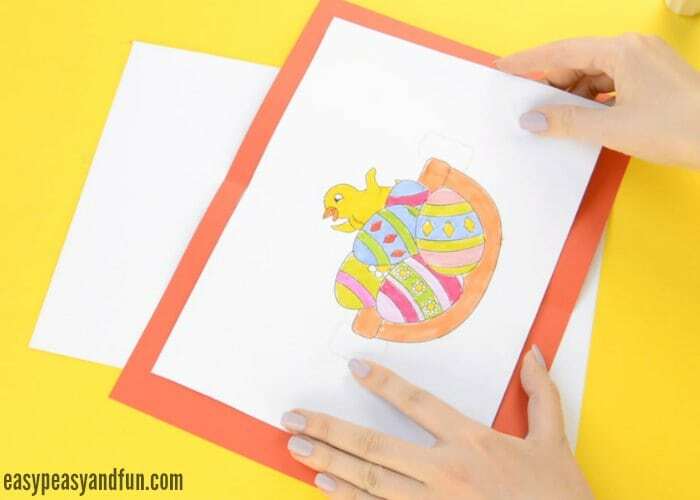 As you really loved our butterfly pop up card template we just had to create this DIY easter pop up card (along with a printable template). 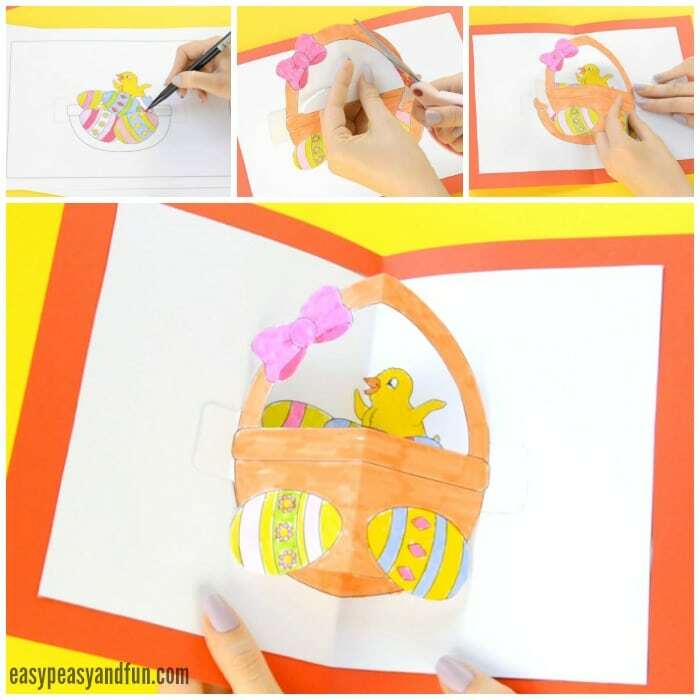 This fun chick in a Easter basket pop up card is a fun project to make, and a great one to get the kids interested in making pop up cards. We love Easter! 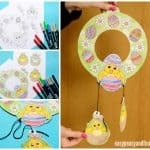 It’s such a fun holiday for making all kinds of chick and bunny themed crafts. 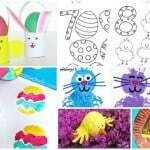 And since those two animals are beyond adorable so are the crafts! 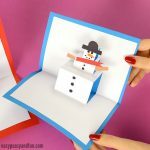 I loved making pop up cards as a kid and have made quite a few. In the past few years I’ve been even *trying* to make an actual – admittedly easy – pop up book that kids could easily assemble on their own. But that project still needs some time. 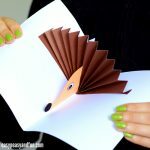 While pop up books do take a lot of thought and effort – simple pop up cards are an easier alternative, so for the time being do enjoy these fun filled pop up card projects (but do keep checking back for more amazing 3D projects to be posted soon). 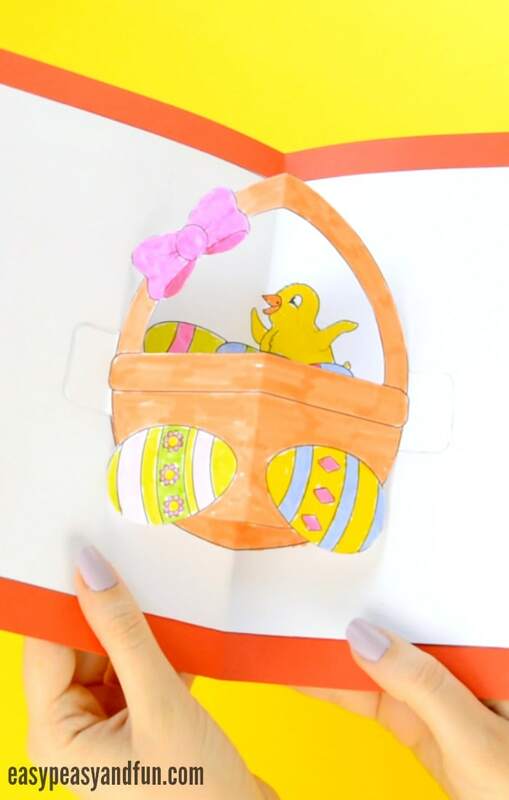 Ready to make your own Easter pop up card? We certainly are! Grab our template, watch or follow the instructions and have fun! We based this pop up card on a coloring page I made a few years ago, it seemed just right (with some modifications) to turn into a pop up card and I think it turned out pretty well. You can print this on a variety of papers (regular print paper will do an OK job) but I recomend you print it on a heavier print paper (120-160 GSM). 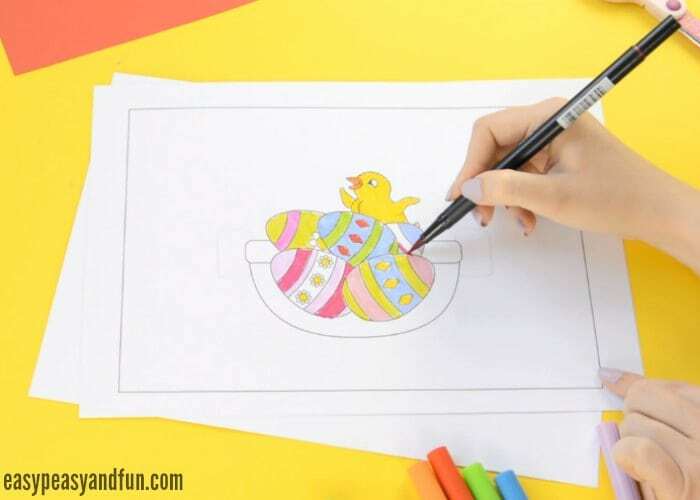 This project can be a nice little classroom Easter craft idea, as it’s easy to do even for younger students. coloring medium (crayons, markers, coloring pencils). Adding some glitter to the project is always fun. Who doesn’t love sparkly things? But we do recommend using glitter glue to avoid having glitter all over the place. We have prepared both video tutorial for this project and step by step photographed instructions. 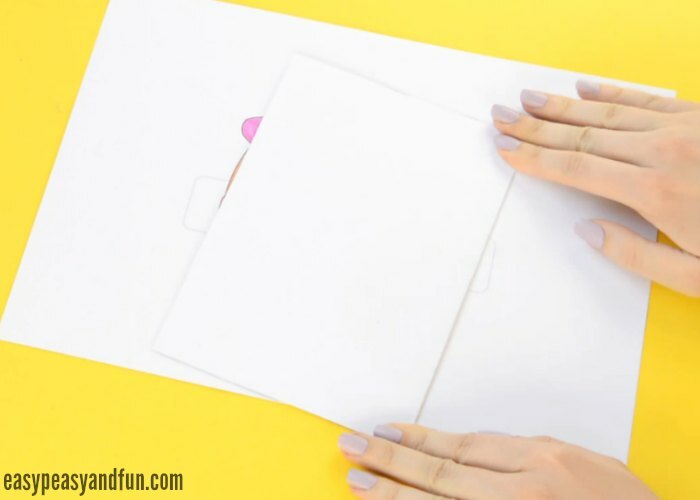 Start by printing our pop up card template. As previously mentioned heavier paper will work best, but regular print paper does a decent job too. You just might not want to use markers on regular paper as they do wrinkle it up, while on heavier print paper they do a nice job. Get as creative as possible. If you decided to use glitter, or other embellishments now is the time to add them. We left the background empty so there’s plenty of space to get creative there too! We hope your kids will draw flower fields, bunnies or even things from outer space to make their hand made pop up cards pop up even more! Once everything is colored and decorated it’s time to do some cutting. 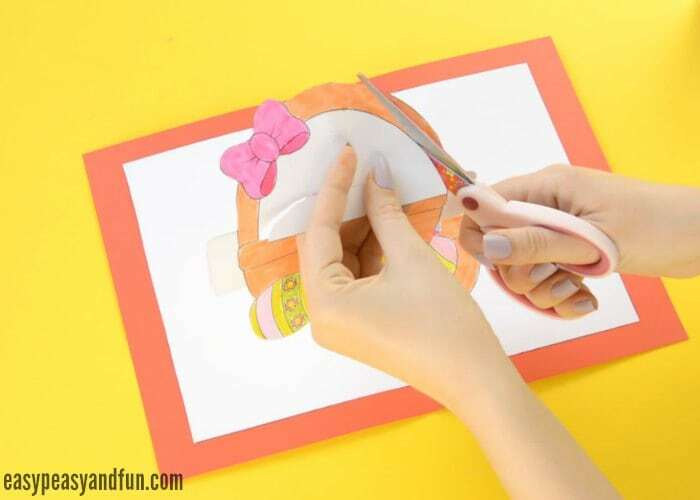 The sheet of paper with the chick has to be cut along the outer square border. Fold the sheet in half, with the image on the inside. 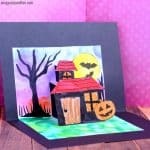 Also fold the sheet of colorful construction paper in half. 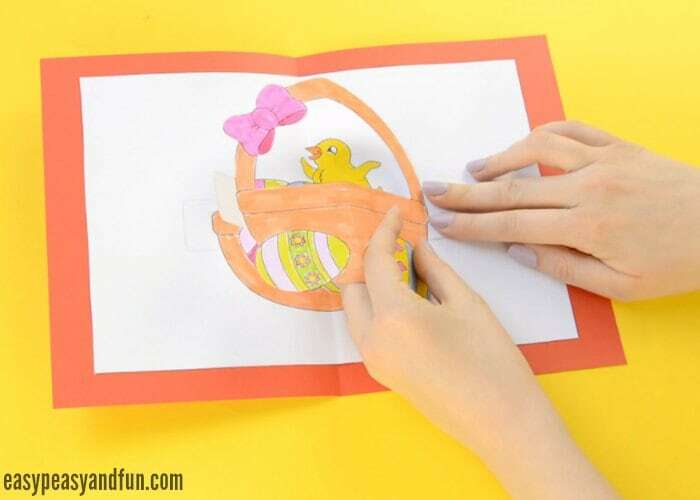 Glue the template with the chick on the construction paper. Try to “hit” the middle. Fold again to make a crisper crease. Time for a bit more cutting and folding! Start by folding the basket – there is a dashed line on the template that indicates where the basket needs to be folded. 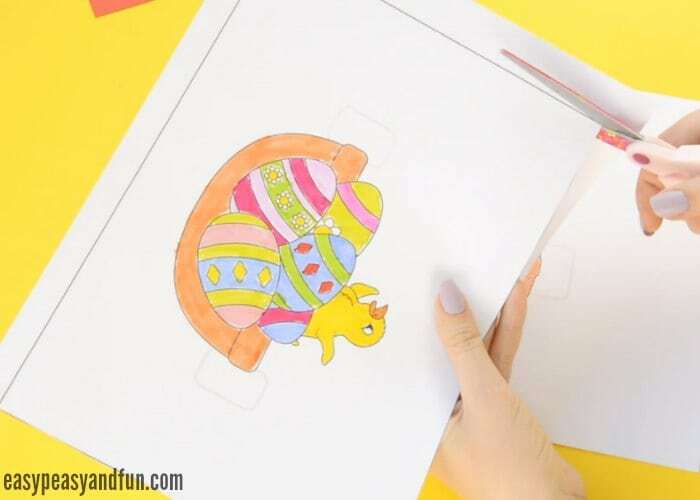 Fold it in a way that the colored part of the basket is facing outside. Crease. 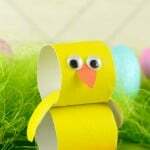 Apply glue on the template with the chick on the little rectangles at the sides. Stick on the other half of the basket – matching the rectangle shapes. 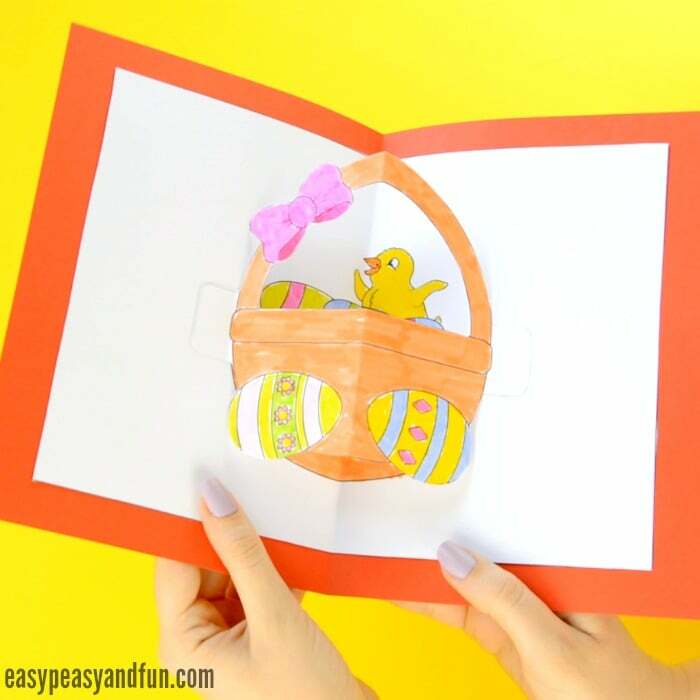 Your DIY Easter pop up card is finished!